professional and non professional theatre, film and TV, drama based courses in universities and colleges in Australia and overseas. Carmen has worked for every major professional theatre company in Sydney and worked with many of Australia’s best known performers. They include Nancye Hayes, Todd McKenney, Caroline O’Connor, Yvonne Kenny, Leah Purcell, Brendan Cowell, Colin Moody & Peter Carroll. 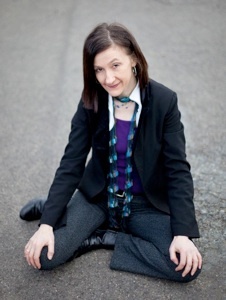 ‘Carmen Lysiak has worked on a number of productions as dialect coach at Ensemble with excellent results. She is very thorough and very skilled and manages to get good results not only with actors who are good with dialects, but also those with a less natural ear. Sydney Voice Company. Carmen Lysiak - Professional voice coach, voice trainer, accent and dialect coach for actors and non actors based in Sydney Australia.